This one started as two fabrics one on top of the other. I had a half yard of orange and a half yard of blue. You make two cuts through both fabrics. 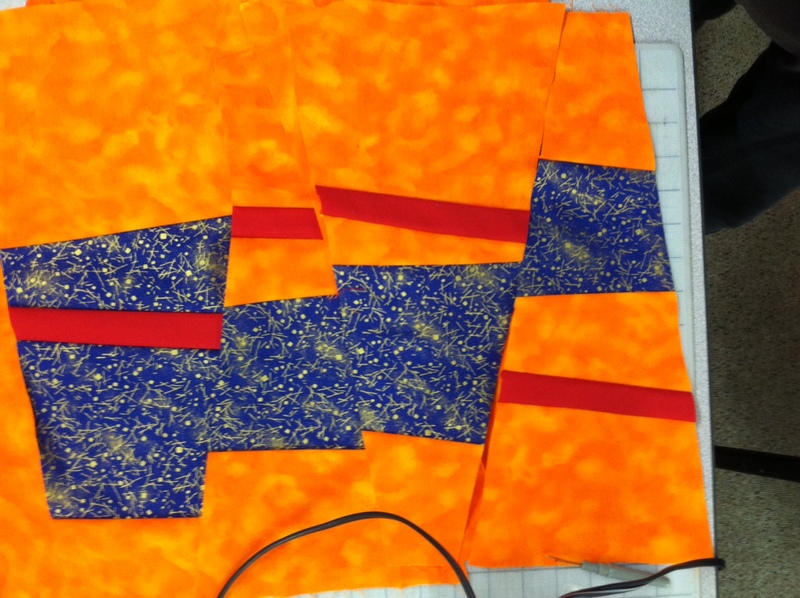 Then you swap the middle fabric and sew them back together. This is the piece that had two blue strips and orange in the middle. 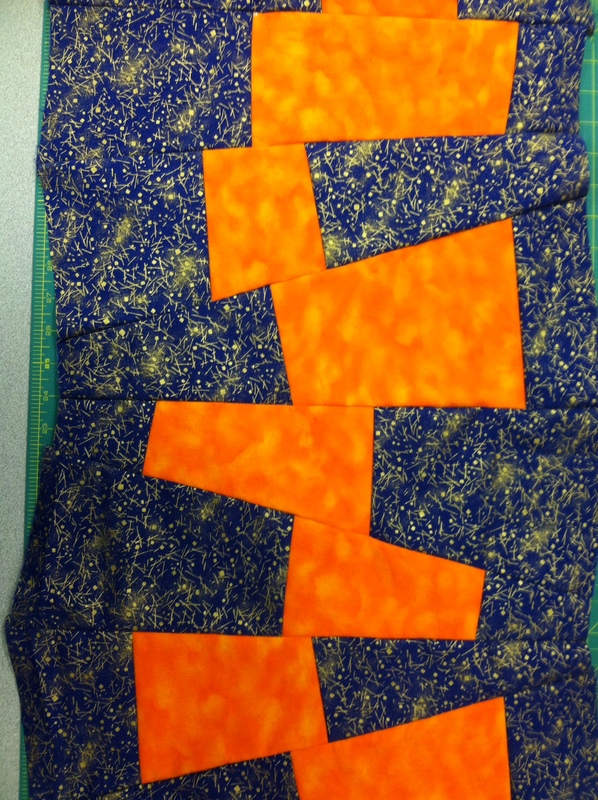 Then I cut that into wedge shaped pieces, mixed them up and sewed them back together. Here is the other piece of fabric that was two orange strips with a blue one in the center. I added a red strip. If I had to do it again I think I would use yellow rather than red. I didn’t get a chance to sew this one together because I had to go home to let the furnace repair guy in. We didn’t have any heat, so it really needed to be fixed. 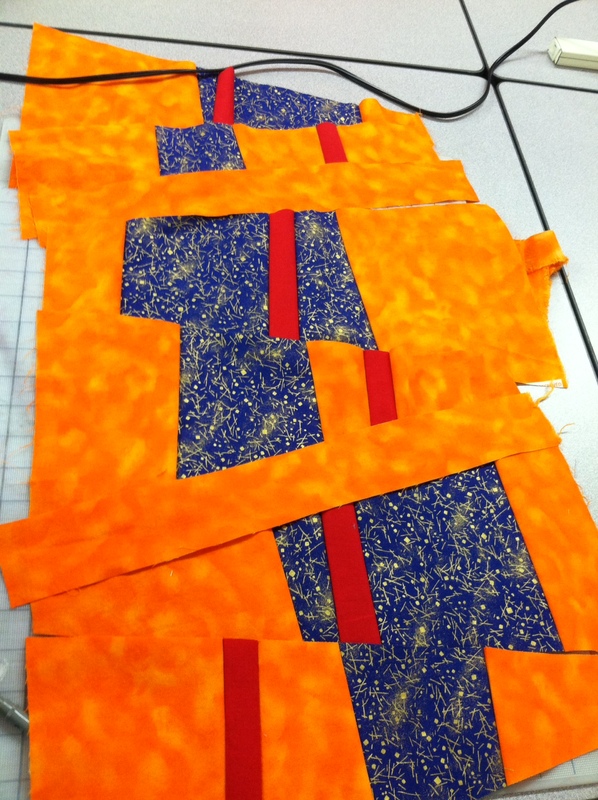 This entry was posted in Classes, Improvisational piecing, Work In Progress and tagged Mike MacNamara. Bookmark the permalink. Since Milkshake wears a fur coat all the time I figured he was ok without a heater.